In 1984, Mercier Press published Kevin Boland’s book, Fine Gael: British or Irish? The provocative choice of title by the former Fianna Fail TD reflected a long tradition that saw Fine Gael’s critics position the party in relation to Britain. Dismissively labelled as West-British or pro-Commonwealth, Fine Gael was, in fact, responsible for taking Ireland out of the Commonwealth and for declaring a republic. As David McCullagh’s excellent biography of John A Costello has shown, the declaration was far more complex than a knee-jerk response to a series of perceived slights at the Commonwealth Conference in Canada in 1948. However, the view that the then Taoiseach made the decision in a fit of pique has popularly prevailed. This has somewhat undermined Fine Gael’s ability to play the green card. This is further hampered by a legacy that pre-dates the formal creation of the party. Fine Gael was born out of a merger of Cumann na nGaedheal, the Army Comrades Association (more commonly known as the Blueshirts) and the National Centre Party in 1933. It was formally called ‘The United Ireland Party: Fine Gael’, to be simply known as ‘United Ireland Party’. The latter appeared on minutes of parliamentary party meetings from September 27, 1933, until March 15, 1934. Reinforcing its messaging, the new party’s manifesto prioritised voluntary reunion of the island. It was only a matter of months, though, before Fine Gael became the more commonly used title, not least because it was less of a mouthful. 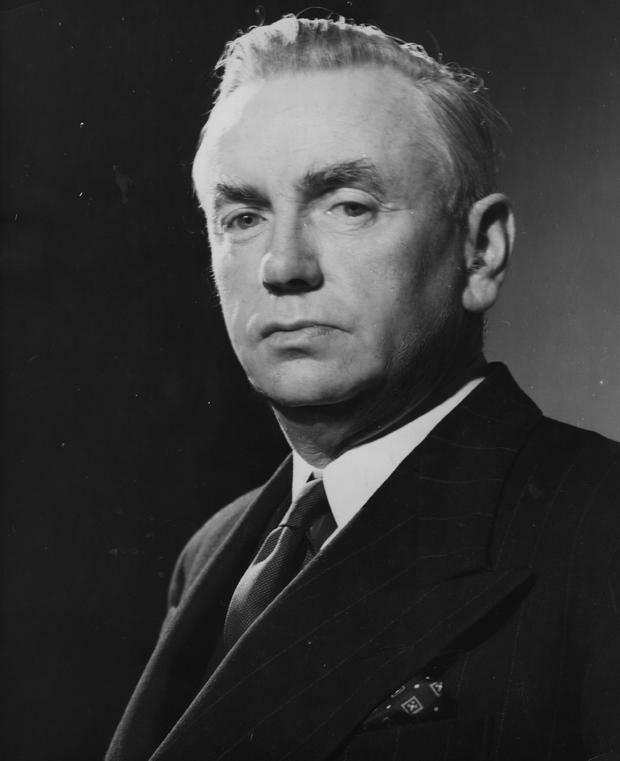 The impetus for the original name formation came from the National Centre Party leader, Frank MacDermot, rather than Cumann na nGaedheal elements. At a meeting of his party on September 8, 1933, MacDermot reminded those present, “you all know what a fanatic I am on the subject of a united Ireland”. Though significant, the Centre Party was the junior member of the merger that created Fine Gael. For many commentators, the new party was simply Cumann na nGaedheal by another name. The older party’s legacy was problematic. As the founders of the State, Cumann na nGaedheal built independent Ireland within the parameters of the 1921 Anglo-Irish Treaty. As the first decade of independence progressed, those parameters were renegotiated and expanded through frameworks like the League of Nations and, in particular, various imperial conferences. In the realm of foreign policy, Cumann na nGaedheal was vindicated that further freedom could be achieved within the capacity of Commonwealth membership. For critics, this was merely evidence of collusion with Britain and a propensity to please British politicians. Furthermore, the Free State’s record in international affairs meant little to the ordinary voter at home in Ireland who, in 1927, for example, was perplexed as to why the government was continuing to collect and pay land annuities to Britain. Representations were made to the Dail on behalf of those who were struggling to pay. Fianna Fail made the issue its own by 1928, describing the annuities as payments to ‘the descendants of Cromwellian planters’. The party successfully played the green card at the 1932 general election, painting Cumann na nGaedheal as subservient to Britain. Cumann na nGaedheal tried to counteract this labelling by placing newspaper advertisements that bore the party name superimposed on the tricolour. This attempt to assert republican credentials was replicated in the 1933 election when the party emphasised the role of its leader, WT Cosgrave, in the Easter Rising. Such efforts were ineffectual. It was easy for opponents to deride Cumann na nGaedheal as West-British. This was what MacDermot had to stave off by explicitly signalling that the new party was committed to a united Ireland. But the label transferred, nonetheless. Contemporary photographs capture massive crowds celebrating the new republic on Dublin’s O’Connell Bridge. The mood in Northern Ireland was far less buoyant, of course. The British government enacted the Ireland Act, 1949, in response to Costello’s actions, providing a guarantee that the status quo would only be revised if the majority so wished. But what of Fine Gael? What political benefits, if any, did the declaration of the republic have for a party habitually criticised for being West-British? The declaration should have brought to an end much of the language that had dominated Irish politics since the Treaty split in 1921/22. Certainly by the 1960s, the political focus was on the future, rather than the past. But this was as much about the passing of the revolutionary generation from political life and the prospect of EEC membership, as anything else. Costello’s decision to repeal the External Relations Act, to take Ireland out of the Commonwealth and to redefine the country as a republic should have also finally settled perceptions of Fine Gael’s relationship to Britain. The party borrowed from the colours of the tricolour for its logo in the 1960s. ‘United Ireland Party’ even made a re-appearance in the title of minutes from meetings of the parliamentary party. The slur of West-British has continued, however, to haunt Fine Gael. It is a term that remains a convenient fall back for critics. Arguably it is less about the party’s relationship to Britain now. Rather, it has become shorthand for a whole array of other perceived failings, including conservatism and privilege. The 70th anniversary of Ireland becoming a republic – falling as it does within a broader culture of examination afforded by the decade of commemoration – offers the opportunity to reflect on the sometimes complex relationship, not just of Fine Gael, but of all political parties in our system, to the republic and to the meaning of republicanism. Dr Ciara Meehan is Reader in History at University of Hertfordshire and author of ‘The Cosgrave Party: a History of Cumann na nGaedheal’, published by the Royal Irish Academy.